The SISAC (Serials Industry Systems Advisory Committee) is used to identify specific portions of serial publications such as articles or journals using a host of location data including the ISSN, date of publication, issue volume & number and more. To create a SISAC barcode, the SICI code must be encoded into a Code 128 Barcode. This tutorial will take you through the process of creating a SISAC barcode using the IDAutomation Barcode Image Generator software. Generating SISAC barcodes requires a Code 128 barcode. 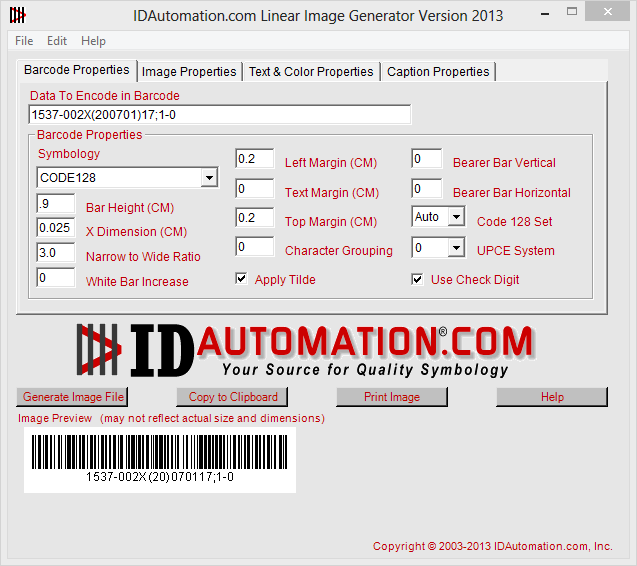 The Barcode Image Generator software is used to create the SISAC barcode in this tutorial, although in other cases it may be better to use IDAutomation’s Code 128 Barcode Fonts. If other types of barcode automation are preferred, IDAutomation offers a variety of barcode font tools, components and stand-alone applications for this exact purpose. 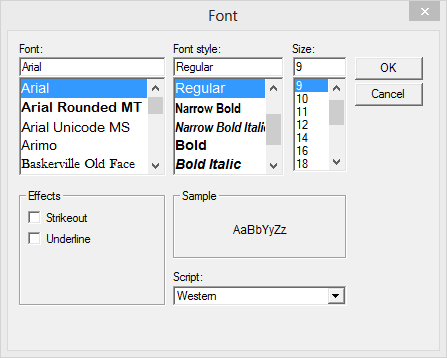 Because manually calculating a Code 128 check digit can be complicated, IDAutomation offers a free online barcode font encoder that automatically calculates the Mod103 check digit for Code 128 in addition to several other symbologies. The Barcode Image Generator used in this tutorial contains a useful capability that allows automatic check digit calculation simply by checking the appropriate box. Install the Barcode Image Generator. Open the Image Generator. Under the Barcode Properties tab in the Data to Encode in Barcode field, enter the SICI code. The last digit of the SICI is a check digit; which is automatically encoded with the Barcode Image Generator when the “Use Check Digit” check box is populated. Choose 0.90 for the Bar Height and .025 for the X dimension. Choose CODE128 for the Symbology. In the Image Properties tab, choose the resolution of the image (if unsure, select 300) and select Bitmap for the image type. Choose Generate Image File and save the image to the hard drive. The SISAC barcode is now ready to be imported and placed in the appropriate location. If it is desired to create multiple labels, this same process may be used with IDAutomation’s Barcode Label Software. When the Code 128 barcode of the SICI number is scanned to create a SISAC barcode, the data should equal the numbers printed below the barcode on the publication. A common method of reading and testing barcodes is with a hand-held barcode scanner. Most of the barcode scanners recommended by IDAutomation perform keyboard emulation and receive power from the USB port, so that no external power supply is required. When a barcode is scanned using keyboard emulation, the data read appears at the cursor as if it had been typed in from the keyboard. Most barcode scanners have the ability to read SISAC or Code 128 barcodes by default, such as the hand-held IDAutomation USB Barcode Scanner.